Let’s get this out of the way: I am a huge fan of From Software’s Souls series of video games. They scratch a certain itch that hasn’t been subdued since playing tough-as-nail action RPGs like Castlevainia: Symphony of the Night or Blood Omen: Legacy of Kain back in my teens. But as much as I love having Dark Souls’ brutal, arcane-scaling Backscratcher of Doom™ flay me time and time again as I hurl myself at devastating boss fights, I give less than a damn about Dark Souls lore. It’s obtuse and doesn’t really add to the reward system the games are known for. Now that’s not to say the stories in Souls’ games are bad (honestly, I wouldn’t know). They’re just not the reason I came to the party. So with that in mind, I approached Dark Souls: Legends of the Flame #1 with morbid curiosity and a more than a dose of apprehension. 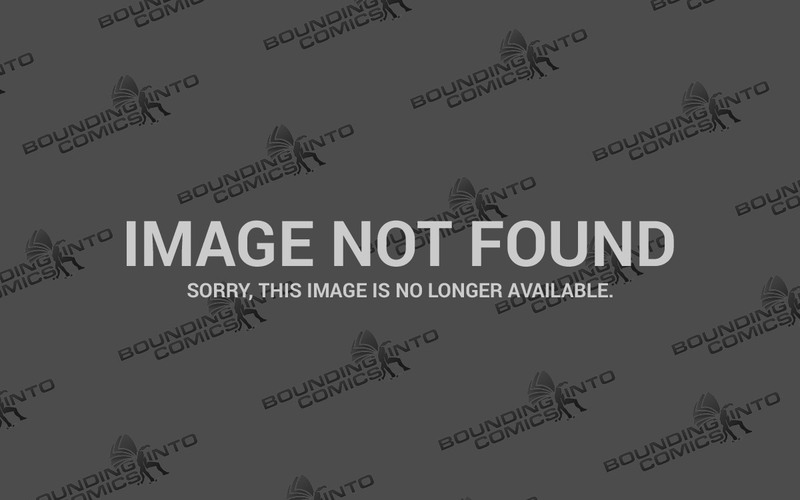 This issue is broken up into three standalone cautionary tales set in the dark fantasy universe of Dark Souls with a wraparound story acting as a framing device. The only thing that really connected the stories was the artwork. Each story is illustrated wonderfully in very different styles that somehow, despite the disparate writing, gel together to fully realize the harsh environments and dire fates that await anyone brave (or stupid) enough to set out on a journey in this sinister world. The standout in the first issue is “The Flame’s Return,” written by Tauriq Moosa with art by Damien Worm (The October Faction). While the story is extremely familiar (think The Monkey’s Paw meets Vlad the Impaler…I know, just go with it), Worm’s artwork elevates it to something slick and clever despite its familiar trappings. There is an intensity to his linework and the angular character designs that harken back to the tone of the games, but not necessarily its aesthetics. It’s fresh and doesn’t feel like Worm is trying to emulate the game’s concept artwork in anyway. Instead, he’s trying to interpret it through his own stylistic lens. This, unfortunately, cannot be said for the other two stories, which seem like mediocre installments of a half-assed Heavy Metal Magazine serial that you wind up skipping after a couple issues. Now I don’t necessarily mean this as a slight against them. They are serviceable in their own rights and probably expand on some of the lore for the games to some degree, but they don’t do much in the way of engaging the reader as standalone works. If anything, they feel like filler that is competent enough to be mildly amusing and not much else (which is more than I can say for a lot of anthology style comics out there). Dark Souls: Legends of the Flame #1 is a serviceable issue. While none of the stories did much in the way to pique my interest in Dark Souls’ lore, they were all clever enough to make me want to see what the creative teams have up their sleeves for the next installment.